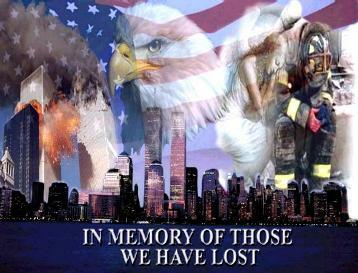 Today is the 14th Anniversary of 9/11. Americans of age recall exactly where they were on that morning of September 11, 2001. That was the day that 19 members of the radical Islamic group al-Qa’eda attacked America from the skies and incinerated 3,000 people. As a new law professor at St. Mary’s University School of Law, in San Antonio, Texas, I was working on my second cup of coffee with the television turned on in the living room. Then I saw it; like a promo for a bad movie, the news channel was reporting that a plane had crashed into one of the Twin Towers in New York City. As a former Army staff officer who was deeply involved in terrorism issues during my twenty years of service, my gut feeling told me that it was not an accident, but a terror attack. When I saw in real time a second aircraft plow into the other tower, I knew the culprits – radical Islam. Indeed, not only had I served a quarter of my career in the Army as the senior legal advisor to the U.S. Army Special Forces (Green Berets) dealing with the legal and tactical aspects of terrorism, in 2000 I had published a chapter in a book for the US Army War College detailing the group al-Qa’eda and the imminent threat they posed to the United States homeland by means of a massive terror attack. At first, some Americans were deeply incredulous about the cause of the attack. When it became clear that the terrorists were members of the Afghan based group called al-Qa’eda the nation quickly closed ranks and supported President George W. Bush’s plan to counter strike them with a heavy military blow. But as we soon discovered, it was more than just bombing a rogue Islamist terrorist group “over there;” the United States was quickly faced with a plethora of legal and policy issues associated with how to deal with a much bigger threat. What President Bush euphemistically dubbed the “War on Terror,” was on. After 14 years and two major combat missions in the Middle East costing over 50,000 Americans in dead and wounded, the War on Terror is still with us today. So where are we? We know that al-Qa’eda has reconstituted itself following the 2011 death of Osama Bin Laden and still represents a real threat to the United States in terms of a massive terror attack on American soil. They were behind the attack in Paris earlier this year. Indeed, ISIS has inspired hundreds of Americans to act or attempt to act on their behalf, but these are the domestic jihadists not the jihadists operatives that would be sent into America from the ISIS caliphate, what I call ISIS central. The jihadists coming from ISIS central have the military skills and operational discipline to execute successful large scale attacks, homegrown jihadists do not. Since 9/11 literally hundreds of terror attacks have been attempted here in the United States by homegrown jihadists that are inspired by radical Islam. In New York City alone, dozens of plots have been broken up by excellent law enforcement work at the State and federal level coupled with the fact that the vast majority have been unsuccessful because the operatives were sloppy and amateurish in either the planning or follow through. ISIS central has the operational discipline required to strike us a heavy blow and cause fantastic mass civilian casualties. It has the men, time, money, and skill to land a devastating terror attack on America, and they will do it. America may be war weary after the years in Afghanistan and Iraq, but fatigue has no counterpart with ISIS. ISIS is neglecting neither offensive nor defensive weapons and tactics. ISIS is dead set on attacking America and its allies. With the recent attacks in France and against tourists in Tunisia, ISIS has now been linked to 47 terrorist plots or attacks against the West, including 11 inside the United States. The rate of ISIS terror plots against the West has more than doubled in 2015 (19 plots in all of 2014; 28 already this year). The number of post-9/11 jihadi terror plots in the United States has surged. There have been more U.S.-based terror plots or attacks in the first half of 2015 (a total of 24) than in any full year since 9/11. Overall, homegrown jihadi plots have tripled in just the past five years (from 36 plots/attacks in June 2010 to 118 today). Islamist terrorists are getting better at recruiting Americans. Ten U.S.-based ISIS supporters have been arrested in the last month, bringing the total to 55 ISIS-inspired individuals arrested and charged in America (not included two which have been charged in absentia). ISIS followers have now been arrested in at least 19 States. Paradoxically, from a global perspective, the Obama approach to nuclear non-proliferation will have the exact opposite effect. More nations, like South Korea, will surely be forced to acquire nuclear weapons, not less. It is illogical to assume that America’s friends and allies will continue to forswear the development of nuclear weapons if they lose confidence in America’s commitment to protect them from nuclear-armed enemies. 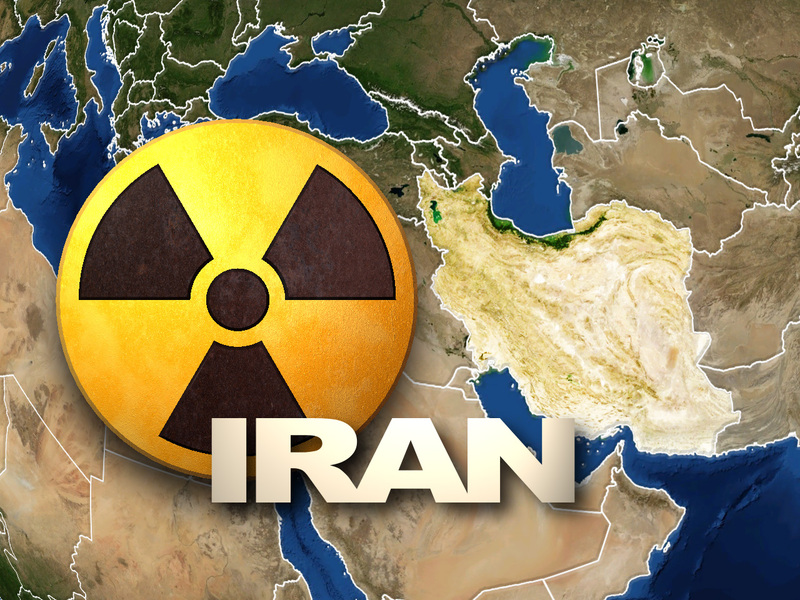 This will surely come about in the Sunni nations in the Middle East, as Iran has now been given the green light to acquire nuclear weapons in the not that distant future by Obama’s July 2015 nuclear agreement with Iran. Again, if the primary goal of the 2010 NPR is to prevent the proliferation of nuclear weapons, it is not producing this result. North Korea is continuing to pursue the development of more and stronger nuclear weapons. Iran is also continuing its quest for nuclear weapons and now with the Obama treaty they will get them in the not too distant future. On the other hand, smaller nuclear nations such as Israel will never agree to nuclear disarmament no matter the incentivizing, economically or otherwise. Even the most cursory view of the geopolitical environment surrounding the tiny nation of Israel would conclude that it would be irrational for Israel not to possess a nuclear force. Without the aid of the United States or other significant allies, the massive conventional forces of their enemies would overwhelm them in battle. Prudent smaller nations understand the realities of the world. The problem is that current and potential nuclear powers see this as a golden opportunity to close the gap between themselves and the United States, the formerly untouchable giant. The Obama policy is based on unilateral concessions, signaling weakness to nuclear and non-nuclear powers alike. In a world where nuclear weapons exist, the only realistic standard of behavior calls for the United States to maintain a robust nuclear capability, second to none, so that no nation would ever consider using a nuclear weapon. Unfortunately, this simple truism is lost on Obama. When President Obama delivered his 2013 Berlin speech on disarmament, he remarked that “so long as nuclear weapons exist, we are not truly safe.” While the masses may enjoy such epigrams, this belief is absolutely false. A world in which the United States and other free nations do not possess nuclear weapons is both unrealistic and undesirable. It is precisely because of nuclear weapons that we are safe. In the nearly seventy years that modernized nations have been armed with nuclear weapons, not once have they been used by the nations that possess them. Wars have been fought between proxies of nuclear nations, but no nuclear-armed nation has attacked another nuclear-armed nation. Is this because the nature of man has changed? Or does it have more to do with the rational conclusion by even the most totalitarian regime, that the cost of using a nuclear weapon is simply unacceptable under MAD? As bad as they are, nukes have been instrumental in reversing the long, seemingly inexorable trend in modernity toward deadlier and deadlier conflicts. If the Nobel Committee ever wants to honor the force that has done the most over the past 60 years to end industrial-scale war, its members will award a Peace Prize to the bomb. In addition, America has no special burden of guilt because it is the only nation to have used nuclear weapons. Not only was the use of the atomic bomb legal under the law of war, many more lives were saved by the use of the two atomic bombs during World War II than were destroyed. It is estimated that approximately one million more American soldiers and perhaps three million Japanese would have been killed had the United States actually carried out its plan to physically invade mainland Japan. President Truman understood the real world. The concept of nuclear deterrence was immediately established in 1945, the year the bombs were dropped on Hiroshima and Nagasaki. The Obama Doctrine, which seems intent on employing scare tactics and demonizing the possession of nuclear weapons, imperils both the world and America. Unilateral reductions of America’s nuclear forces create a vulnerable and weakened nation that can be “intimidated into conforming to the will of less-benignly inspired actors on the international stage.” Furthermore, such a course increases the actual promotion of the development of nuclear weapons in other nations. In short, a shrinking U.S. nuclear arsenal will certainly prod other nations to strengthen their own nuclear arsenals. One thing is certain; Obama’s misguided policies of unilateral reductions in America’s nuclear arsenal have not achieved his desire for worldwide nuclear disarmament. Instead of inventing mythologies about how nuclear weapons cause a more dangerous world, strong American leadership requires assessing the world as it really is and not how one wishes it to be. Statesmen accept the nature of man as it is and keep clear of the siren song of appeasement and crusader arrogance. The Nuclear Non-proliferation Treaty (NPT) has been extremely effective in reducing the spread of nuclear weapons. 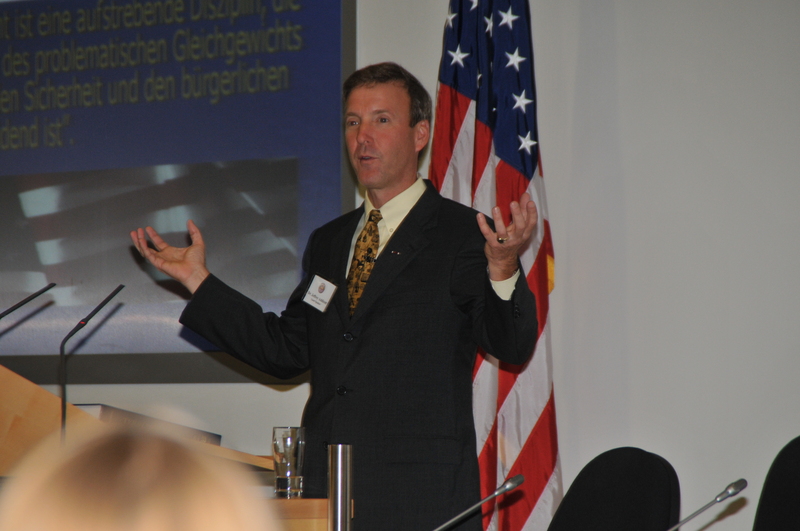 In exchange for a nation’s direct commitment to the treaty not to acquire nuclear weapons (they may develop nuclear technology for peaceful purposes associated with energy production), many of these nations look to the United States for their security because they know that the United States of America has the nuclear muscle to ward off totalitarian nuclear-armed nations. The treaty has worked so well that, as of this writing, there are only nine nations with nuclear weapons, down from twelve. If America weakens its nuclear posture, the number will surely increase. What is the only provocation that could bring about the use of nuclear weapons? Nuclear weapons. What is the priority target for nuclear weapons? Nuclear weapons. What is the only established defense against nuclear weapons? Nuclear weapons. How do we prevent the use of nuclear weapons? By threatening the use of nuclear weapons. And we can’t get rid of nuclear weapons, because of nuclear weapons. In a nutshell: The only established defense against nuclear weapons are nuclear weapons, and nuclear weapons cannot be abandoned because of nuclear weapons. 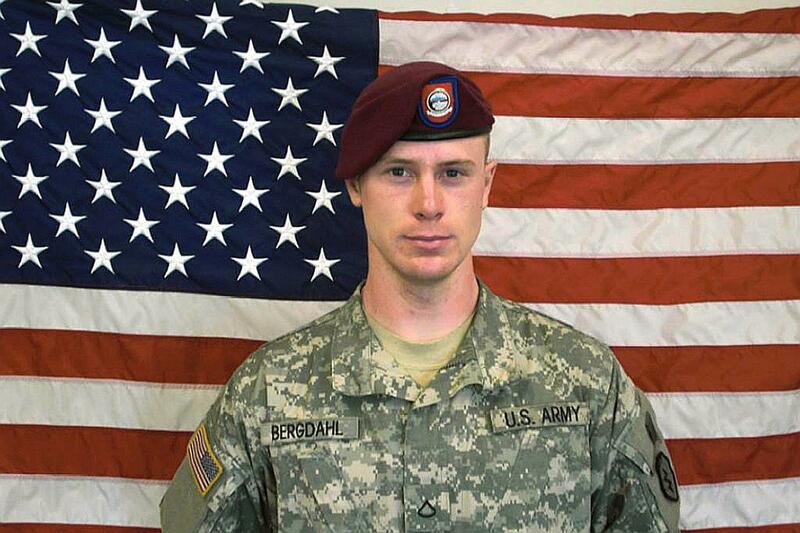 After ten months of indecision by the military high command, Army Sergeant Bowe Bergdahl has finally been charged for allegedly deserting his post in Afghanistan and misbehavior before the enemy. Sgt. Bergdahl was a prisoner of the Taliban for five years after intentionally leaving his military post in Afghanistan without authorization in 2009. In May 2014, President Obama unilaterally bypassed Congress and exchanged Bergdahl for five top Taliban leaders then held in detention at GITMO. At the time, the Obama Administration proclaimed that there was simply no time to notify Congress in advance (required for all detainees released from GITMO) then cited two reasons for the swap: (1) We leave no one behind (President Obama); (2) Bergdahl “served his country with honor and distinction” (Susan Rice). It matters for several reasons. First, there are credible reports that several soldiers lost their lives in high risk search operations looking for Bergdahl. Second, the government has a responsibility to follow the law. The Obama Administration did not notify Congress of the release of the five top Taliban leaders in advance as required. Third, the American people expect transparency. While it is obvious that national security matters must sometimes be withheld, it is just as obvious that Bergdahl did not serve his country with honor and distinction. In fact, many suspect the swap was done in an attempt to get the Taliban to “negotiate” a peaceful settlement as US forces pull out of Afghanistan. Finally, at the end of the day, it is not the military or America that left Bergdahl “behind.” Bowe Bergdahl left the military and his country behind when he took off his uniform, set aside his weapon, and walked out on his fellow soldiers during wartime. Misbehavior before the enemy strikes at the heart of the esprit de corps of our fighting forces. If convicted Bergdahl faces life in prison. He must be held accountable for his crimes. 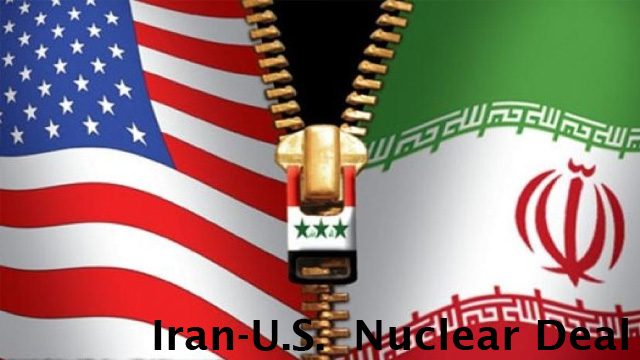 While many are aware of the ongoing negotiations between the Obama Administration and Iran over the Iranian ongoing nuclear program, something quite extraordinary occurred last month in the context of these discussions. The 2015 Worldwide Threat Assessment of the US Intelligence Communities has removed Iran and its surrogate Hezbollah from the list of nations and organizations that are deemed “terrorist” threats. The annual report is given to the US Senate by the director of National Intelligence, James Clapper. Amazingly, the report ignores or glosses over the obvious terror activities of Iran and Hezbollah and concentrates instead on Iran’s efforts to combat Muslim Sunni extremists, i.e., ISIS. Interestingly, in direct contrast, the 2014 Worldwide Threat Assessment of the US Intelligence Communities delivered by Clapper listed Iran and Hezbollah as clear terror threats that had increased terrorist activities. The good news is that Iran is still listed by the US State Department as a State sponsor of terrorism, a designation consistently renewed since 1984. Other nations listed as State sponsors of terrorism include Cuba (added in 1982), Sudan (1993), and Syria (1979). Of course, under the Obama Administration this does not mean that Iran will remain on the State Department list. The 2015 Worldwide Threat Assessment may be an attempt to repackage the regime. Nations removed in the past include South Yemen, Iraq, Libya, and North Korea.